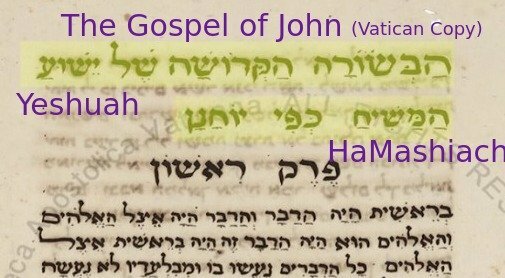 The ancient language of ivrit ( עברית ) Gospel of John, the one and only page. 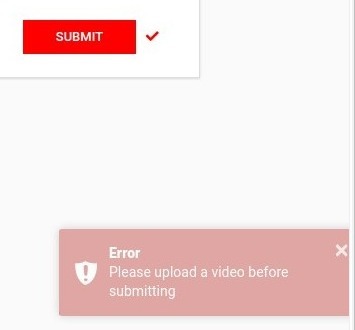 DTube failed for over six hours. Uploads then says I did not upload. This week I am not reading. Nehemia is going to give you a page from the Junk Box at the Vatican. Nehemia is not a Christian, but he does have an open mind. He was scorned by the Israeli curators for even bringing the Hebrew Gospel for entry into the archives. Now I present a clip of him reading about another of Israel's children who was scorned by his own, written in his own language. See complete commentary on Steemit. Welcome back to my DTube Hebrew reading & language series. The full study is now on line covering the Alef-Beyt here in my blog. This is a beginners program to teach letters, vowels, and reading. The vowels are marked in this bible and are designed to help avoid confusion on what a word is and how it is pronounced. The confusion is obvious in the hundreds of interpretations globally. In modern Hebrew, only children need a niqqud or vowel marking for each letter. Old manuscripts also usually have vowels marked. And we will see the one and only page we have. There are struggles of good and bad, right and wrong, light and dark, christian and jew, and all of these are meant to make people choose a side to stand on. I refuse to stand on one label or another. I rarely give an opinion, but IMH the adversary continues to draw lines of division to confuse the masses, people should not be labeled. The many camps of christianity seem to have the son of God part right, but missed all the practice sessions (Moedim or Feast days) that were to be an eternal remembrance for my people or all generations, repeated many times by He Himself. Conversely, the many camps of "jewish" people have the practice, instructions for life, cyclical nature of Elohim, and His feasts, but they are repelled by christians who crassly cross out essential commandments. Note; yes, Jesus is "our rest" on Saturday, Sunday, and every day. Let me answer your comment now. Christian = one who relies on Greek texts about Hebrew truths and adds Jesus' story to it. Jew = one who is of the tribe of Y'hudah- the first born son of Israel. Jewish = a term given to all children of Israel by the goyim (nations) to ID any descendant of Israel. I stand on the foundation, on the rock, on the word and seek to read it in its purest form. I sit through a lot of sermons, opinions, theories and facts. I pull out the interesting facts and toss the rest. It is a lot of fishing. The Vatican has finally opened their libraries in order to make sure all of the writings would not deteriorate, and they have been digitizing what is there. Many times over the centuries, the keepers of the truth at the Vatican would take out books, open them, study them and put them back. What happens when a page is found on the floor? Which book does it go in? Oops! This goes in the "sort later" or "junk" box. A few pages of the Gospels were found in said junk box! This is a clip from a show presented by a truck driver from North Carolina, who is of Israel by blood, raised as a Baptist, and a believer in Jesus Christ. His guest is Nehemia Gordon one of the sons of Israel by blood, raised in the Hebrew language but unconvinced that Ha Mashiach has come (not christian). Both Men are Open Minded - key for learning. I had clipped it for you and uploaded it, failed. The source link may take you directly to 6 minutes. 30 Seconds. Nehemia has been searching through much of what is there and reading the Hebrew to find out more. 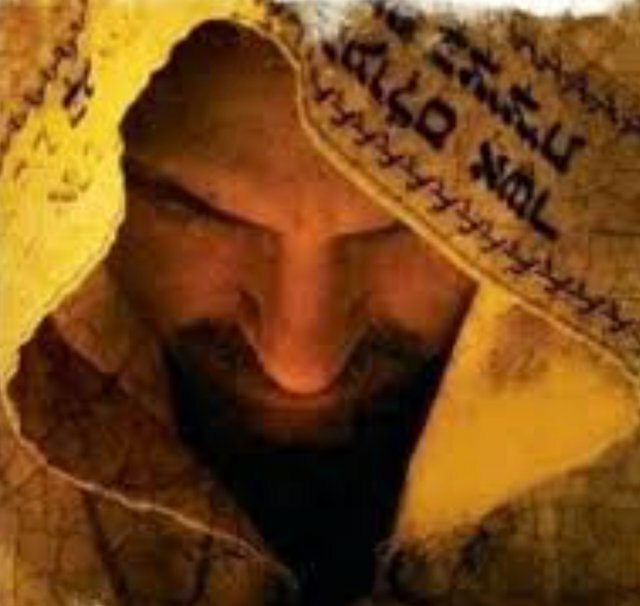 He has presented many of his findings to the keepers of the truth in Israel and they say, "but those relate to Christianity, and we don't want any of that in our library." Nehemia was not looking for a Gospel. He found it and is now presenting these treasures to people who are interested. He waited because there were no high resolution officially released copies until recently. 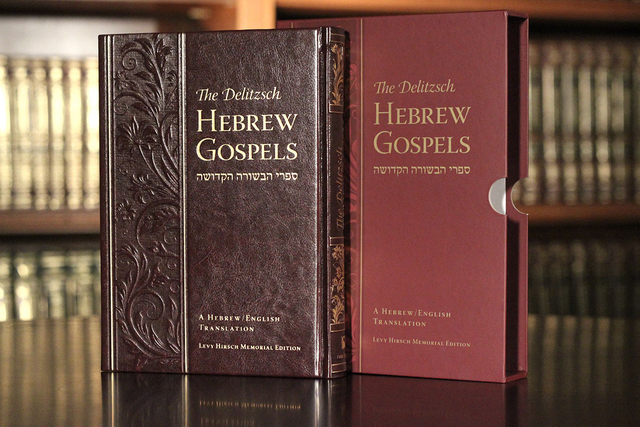 I respect his open-mindedness in bringing these documents to the Messianic community (believers in Jesus). I respect Michael for thrashing the Pastors who fly around in jets purchased with the money of retirees, while he himself asks the same people for money, maintains a home in North Carolina, one in Israel, and a large staff to bring his message to the world. Fact, not opinion or judgment of him by me. I will not go into labeling Michael or Nehemia. They each have their camp in each of their own belief system. What I see is a very old Hebrew text of John which I have read in English and Spanish. I can now see it and read it in the language of the chosen people. Thanks for taking the time to watch and read. Learning through your publications & watching your Dtube videos are one of the major scheduled events of my life. Extraordinary good writing & you tried to upload the video. Thank you & Shabbat Shalom for your incredible thought to share your Hebrew knowledge. Que buen tema, es de mucha utilidad para el crecimiento personal. Gracias. Te apoyo tambien con mi votito. Benciciones. Jesus is the word of God. 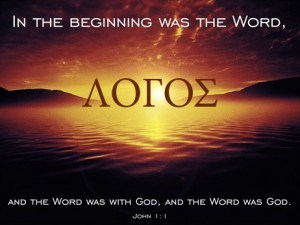 In the beginning was the word and the word was with God and the word was God. In Jesus all things were created. In Revelation Jesus is the beginning and the ending. In Genesis, Jesus is the seed of the woman and in Exodus is the commandment. According to book of King James Bible, thanks sharing this wonderful word of God with us, it is truly a fruit to the soul, it states that God and his word are one, God is his word and the word of God is God and also that the word of God has been existing from time memorial, the word of God is universal for all. @hebrew thanks for the constant word of God. Amen. Truly Jesus is God. There was a day he said "Today I give you a new command, that you love one another as I have loved you." The religious of that time would have wanted to stone him for that statement. Everyone knows that only God can issue commandments. They would be thinking, "There had been no new commands since the time of the exodus and now some person is telling us what we have to do?" I love this topic @hebrew, I learn a lot from your publications. It helps you to address yourself correctly in life, thanks for your teachings I follow you and support you. Hiii @hebrew / Shabbat Shalom, Welcome here for your valuable lessons always filled with your passion and countless effort involved. 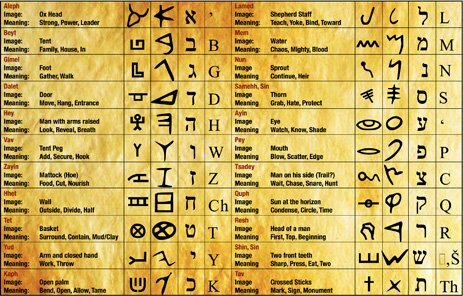 due to which now everyone at least mostly here know about this historical language HEBREW, and your way of teaching is also favorite. sorry to hear about the problem you faced for the failure of Dtube But I appreciated that you convey your message and lesson very well. Lots of Love for you friend. take care. I will have to catch up someday with the technology, cameras and things. The screen recorder that I use does not save files in the right format (I believe). For that reason i have used a phone pointed at my screen. I prefer not to use youtube for its censorship. If they are my only option, then I will not make videos. That's really great and shows your dedication for work. its a top quality in you due to which I follow your every post and always love for you. thanks @hebrew for your reply and support. Hat off for the effort you tried to upload this week lesson! Hope DTube issue will solve soon and we got a chance to watch that video! Thank you for this great article! @hebrew, I'm enter now your DTube Hebrew reading & language series. It's most awesome tutorial to me for fulfill requirement for steemit. Nice recover here of Alef-Beyt.Start to reading is from John 1:1 since this week. It's gloriously introduced. Powerful meanings indeed there. Your teaching skills so awesome in this platform. You're a best Ivrit teacher in steem blockchain. Wishing you the best and I get some time for study this. Great job again. Wonderful to hear John and Luke spoken in Hebrew as they were originally written. El ivrit es un idioma hebreo, según expertos son las escrituras del nuevo testimonio. Este evangelio contiene pasajes con poca similitud a otros. 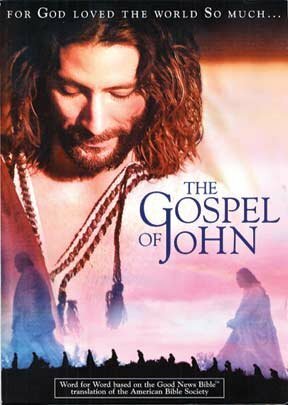 Es un escrito para la meditación y reflexión en torno a la figura de jesus de Nazaret. Buen Post. I enjoyed reading your post. There is a lot of good stuff. Shabbat Shalom, a valuable learning & excellent writing. Thank you. Shabbat Shalom. This is wonderful to learn. hello sir @hebrew ,,, how are you ? Hope next we will see another lesson soon.. It is something new to me but I am curious to know this language and your tutorial is user friendly, so I can really get it on track and I am sure I will find it easier than ever with your tutorial. Great! I love teaching, dislike spam. There is so much to go through, but I really want people who come for learning to get a vote from me. So I sift through every comment. I like your user name. Sorry I am so late with the vote! After long time you take your post. Shabbat Shalom @hebrew. This is a better introducing another part of lesson about most ancient hebrew language. Your pronunciation so cool and easy to pick up everyone. Learning point harder but your side have less some understand condition. We all touch with you. Thanks for another teaching lesson. Stay blessed. That very useful and informative Ivrit tutorial trail again given @hebrew. I'm totally respect to your posts. It has nice style for learn something daily wise. If we study well Ivrit definitely easy to learn. Your teach style also awesomeness. You focused whole community better. Every beginners need to follow your directions. I try to go through every comment because you all take the time to stop here and post one, I should read it! "I refuse to stand on one label or another"- it proves that you are really an open minded & a very good person. There will be always struggles of good and bad, right and wrong, light and dark, christian and jew but people like you, will always teaches us to accept & love everyone. The Restoration of All Things. I think its great initiative taken by the The Vatican. Thank you so much Dear @Hebrew for sharing this important information with us. Hebrew is a vibrant language and even though you could probably visit Israel and communicate in English, learning to speak Hebrew will get you to another lesson of connection. Culturally speaking, you’ll be able to enjoy Israeli movies, songs, poems and novels without translation. Much respected learning review sharing @hebrew. I'm totally salute you. Definitely these lesson indeed another also really helpful for learn hebrew language. Thank you for your support. I have a lot of comments to read - sorry it took so long to vote you back! Many people could not even imagine the language you are discussing about which you are thinking about the right knowledge. I think that if you talk about synonyms in the next post, which is something similar to our international languages, then maybe these community members may be properly Understand this language and important content. As I read, I can hear words in Hebrew that sound similar to the other languages that I have learned. The word "make" or "do" in English is "hacer" in Spanish and לַעֲשׂוֹת (l'ah-sot) - where the Spanish almost jives with the Hebrew in many of its conjugations. I could note them all as I read, and say which ones are similar in English and others that are similar (sound alike) synonyms as I read, but I usually just read and make mental notes. Welcome to Steemit. I wish you the best and here is my small contribution. A couple of votes. This is a great weekend with DTube Hebrew reading & language series.thanks a lot sir......@hebrew with a new lesson. Following you and upvoted and resteemed sir. would at gambler teach us what a d-tube is. ! Here is something I have found. I still lay with d tube in karnakan I do not know how to use d-tube. . I really hope the next post @hebrew explain about how to use d-tube? Interesante te sigo y apoyo ! Thanks for you effort to make language of ivrit easy for us..
You are right there is a saying "Do not judge and you will not be judged". Thanks for the interesting post. thanks for this post,by this i know many thinks..
i learn a lot from your post dear..
that's a great and informative post..
thanks dear for your kindness to share. i am proud to that i am your student & teach us nicely this language. your status help me to learn a lot..
With pleasure I read your message. And I study your culture and language. Well @hebrew i am so confident and feel so proud that i can understand at least some terminologies of this wonderful language and credit goes to you for sure. You enabled me to go deep with your wonderful teaching method and that is why I often write a word "Teacher" with your name, because you are actually an inspiring teacher. Just started following you and after going through this post now its confirmed that I'll get hell alot of information from this blog, thank you for your precious information. 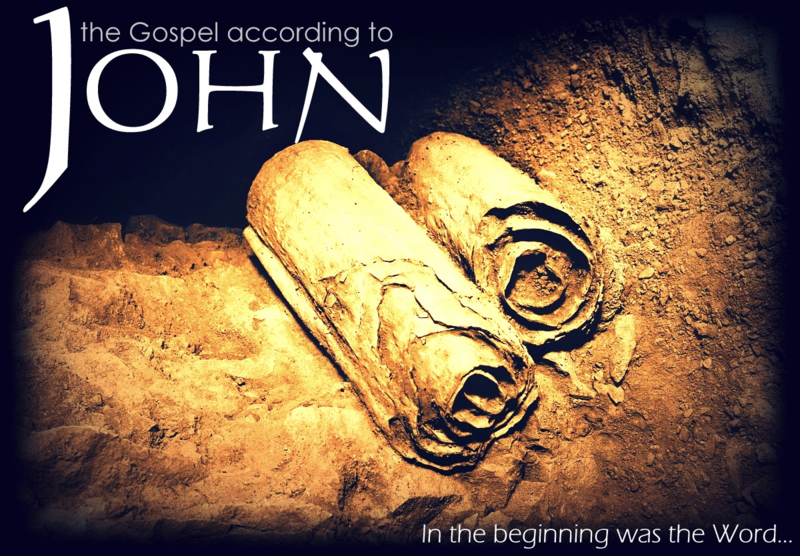 The Gospel According to John is one of the four canonical gospels in the New Testament. It traditionally appears fourth, after the Synoptic Gospels of Matthew, Mark, and Luke. Great to find these books written about Yeshua in the Vatican Library.... all written in Hebrew. You are a wonderfully wise teacher. I watched that video as soon as it came out. 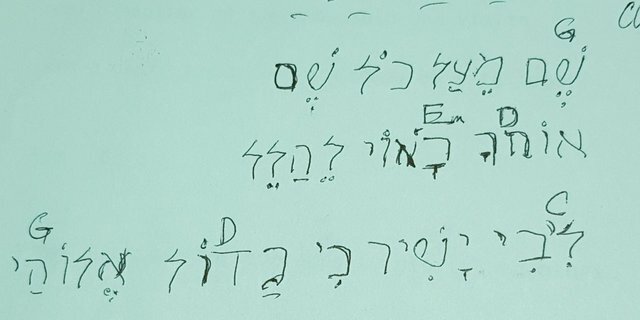 I was so exited, I am vary happy that I am teaching my self Hebrew. 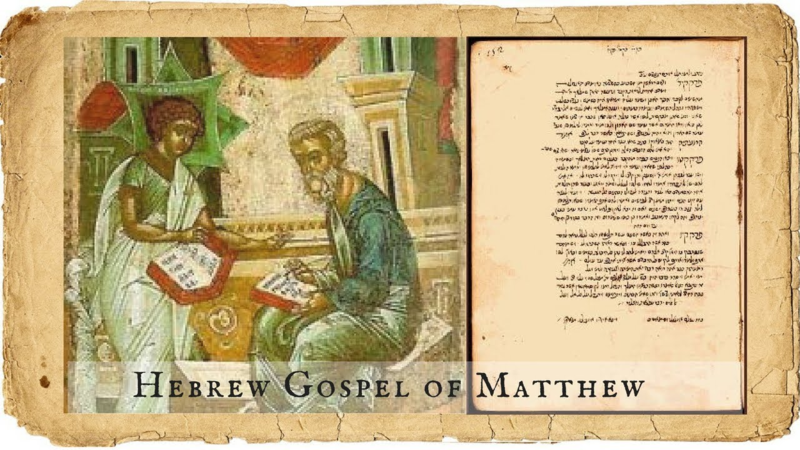 The historical literary evidence shows that the Gospel of the Hebrews was a middle second century document written in Aramaic based on the Hebrew Gospel of Matthew and filled with additions, deletions, and changes to the text to reflect Jewish and Gnostic beliefs. It was probably created by the Ebionites, a Jewish Gnostic sect. my friend @hebrew,Although you can probably go to Israel and communicate in English, you will find another lesson related to learning Hebrew learning. Hebrew is a vibrant language. Really your learnable article so important for teching us ancient language..i always read your every post & try learn the #hebrew language. thanks for sharing such a awosome video & article. THANKS FOR SHARING THIS amazing post hebrew, your post helps us alot and we have learned alot from it. Have known about hebrew language and everything. Keep up the good work. 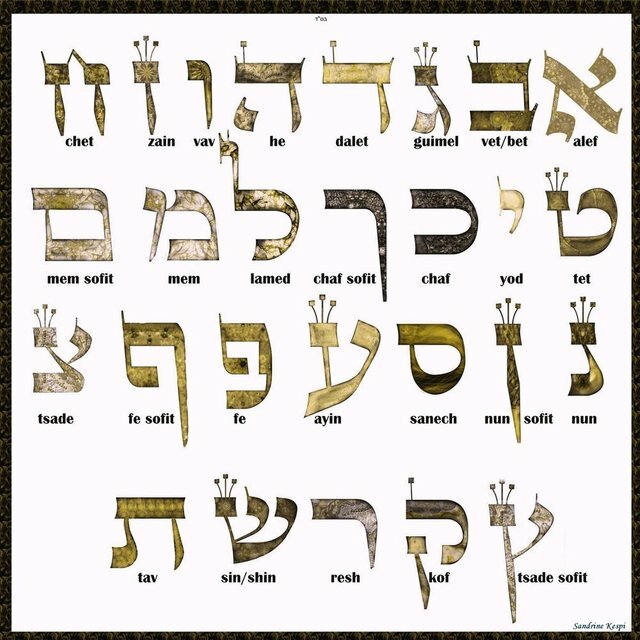 Hebrew is a world of the best language sir.I learning this hebrew language. t’s the language of the Bible, but it’s also a modern language that has miraculously been resurrected by Eliezer Ben Yehuda at the end of the 19th century. Mishnaic Hebrew ended in the 2nd century CE, since then Hebrew had not been spoken as a mother tongue. Which is why I do not try to become fluent in reading or speaking today's vocabulary or "isms" but only concentrate on learning the writings of old. 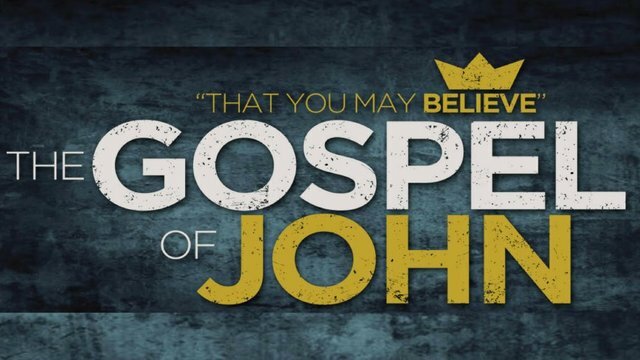 Did you see the Hebrew Gospel? Possibly the last before the language was forgotten or partially forgotten. Si, muchos cristianos están predicando las buenas nuevas del reino de Dios, hasta en los lugares mas apartados en la tierra se dará este testimonio, con el propósito Divino de rescatar almas de este mundo impío. I accept the hebrew language concept. It is always nice learning from you @hebrew!! I agree with you on a lighter mood tho, the word Christian is derive from "Christ" meaning like. The apostle was first called Christian after Christ have die and rise again because they possess the attitude of Christ. What I am learning/teaching is the word as given directly, while not having gone through interpretations. See my blog on 'Why Yeshua' for evidence that the books we have today were originally in Hebrew. I am a Christian but not a Jews or an Israelite. What i know in the Bible is through interpretations. I will check your blog on "why Yeshua" thank you for the interpretation from the Hebrews tongue. Probably this is where you get your steemit username from @hebrew lol. God bless you. it is nice to teach your language..
Sir, this language is absolutely new to this community and you are making this language fully known to me. This community member has always enjoyed me from this language and today the topic you discussed is very important, and especially some of these languages ​​are excellent I have a feeling that you can understand by me in a few minutes in a few minutes Talk about these issues is a very important role to. "העולם הזה כל כך יפה" Especially the semantics are very nice. I love the language and I am able to recharge this language and hopefully I will be able to acquire proper knowledge of this nice language. Sir @hebrew, You are very important member for this community and I carefully read each of your blog posts and try to find out more about this topic. It seems very beautiful to me about this language and I try to recharge the language properly. Dear Sir @hebrew, I hope I can gain proper knowledge about this language and this language really encourages me to discuss the issue you have. You have consistently discussed this important language with the language and you are very carefully presenting this language which seems very nice to me.This language must be well-informed knowledge about the right use, because it is very important to use this language, it is important that you have proper knowledge about this language and how often you express very nice speech about this language will really play a very important role and properly Be aware of the contents. It's very nice to have a great discussion and this language is very nice to me. You always bring this language to me properly searching and presenting each blog post very beautifully. I think the topic you are discussing will play a very important role, and I think This community will be able to acquire proper knowledge about this language. great lesson dear... thanks a lot.